How are âgrey marketâ imports changing media industries? What is the role of piracy in developing new markets for movies and TV shows? How do jailbroken iPhones drive innovation? 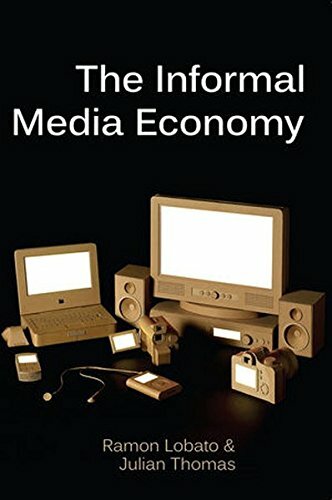 The Informal Media Economy provides a vivid, original, and genuinely transnational account of contemporary media, by showing how the interactions between formal and informal media systems are a feature of all nations â rich and poor, large and small. Shifting the focus away from the formal businesses and public enterprises that have long occupied media researchers, this book charts a parallel world of cultural intermediaries driving global media production and circulation. It shows how unlicensed, untaxed, or unregulated networks, which operate across the boundaries of established media markets, have been a driving force of media industry transformation. The book opens up new insights on a range of topical issues in media studies, from the creative disruptions of digitisation to amateur production, piracy and cybercrime. About: How are “grey market” imports changing media industries?